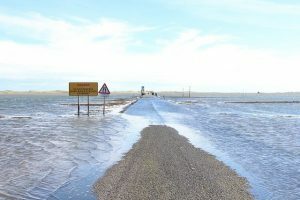 Have you stood near a causeway and seen drivers ignore the incoming tide and take a chance at getting across? I have witnessed similar behaviour in hr managers – watching the consequences when an earlier intervention would have prevented an incident or failing to take account of their organisation’s context. Clients and collegues tell me that I have a different, welcome way of advising on hr management issues. That is due probably to my having worked in general management and senior operational roles before moving into hr management. My management roles were in several sectors such as the health service, logistics, hotel and leisure and manufacturing. Those required the management of technical, medical and other specialist staff. Those advising did not appear to have much operational insight nor appreciation of the commercial and customer service impact of the issues and options. I had read law and employment law was one of my specialist subjects. However, hr advice that I received seemed immature and completely risk averse which would not solve the issue. So I decided to move into hr management and show that one could provide effective hr advice to managers. My senior roles in general management and HR management stood me in good stead as I had been exposed to a range of difficult and complex issues in several sectors which was enhanced by professional qualifications and specialist training in employee relations. Such exposure gave me unique opportunities and insights to address personnel management and organisational issues in both the private and public sectors. Our approach differs in that we shall help you to identify the real causes and related issues that need to be addressed in your context; minimise the risks so that you can move forward; at the same time, we adapt our support and advice to meet your needs. You can read more articles by visiting our HR Management Dimensions blog. You can also read my experience profile on Linkedin via this link.